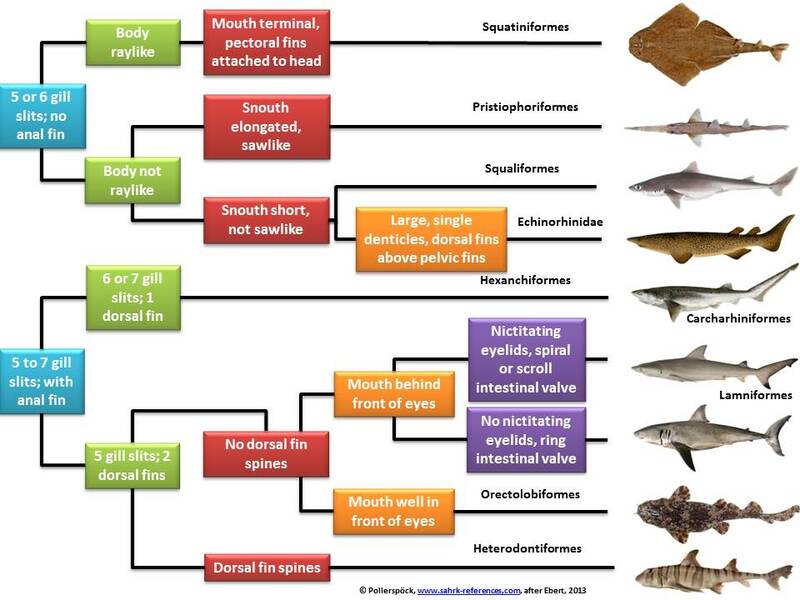 crescent-shaped tails with upper and lower lobes of almost equal size tails with the upper lobe longer than the lower tails with long upper lobes and virtually no lower lobe a well-developed epicaudal lobe, moderate to low dorsal thrust angles, a moderately well-developed ventral hypochordal lobe and the subterminal lobe is either large or not well separated from the rest of the dorsal tail structure The squatinoid tail with a straight notochordal axis. No detailed characteristics available for this family! Please select a family to use detailed characteristics!